So, you guys really enjoyed my last 15 of My Favourite Bloggers, so I thought I’d write another one. Plus, we all need to share some love! These are blogs that I love and I am subscribed to and I believe you should follow all of them! Now! So I just thought I would leave a sentence or two about their blog! Enjoy! She’s a blogger from which I’ve learnt so much from. She blogs a lot about things I’ve never heard of, but after buying some of them, her recommendations are amazing! She’s a stay at home mum who blogs about not only her life but some really in-depth reviews of products. Love her style and how in-depth she goes! Her blog posts are so concise, with a beautiful photo and then a few paragraphs telling you about whatever she’s telling you about. I find her writing so easy to read. But one of those blogs you’ve probably all heard of! You’ve all probably heard of this girl by now! However, I wanted to include her because if you’re looking for blog posts to help you with your own blog, look now further than this blog! For help it’s incredible! This girl has a seriously awesome fashion sense! Every couple of days she uploads photos of her OOTD. And she is one beautiful person! Mystic Tales is a modern, clean and beautiful blog with some really lovely content. I can’t help but lose myself reading through all of her content (whoops!). Definitely one to follow. If you like pink, you’ll like this blog! Haha! But her blog posts are intensive, lots of words and lots of photos. 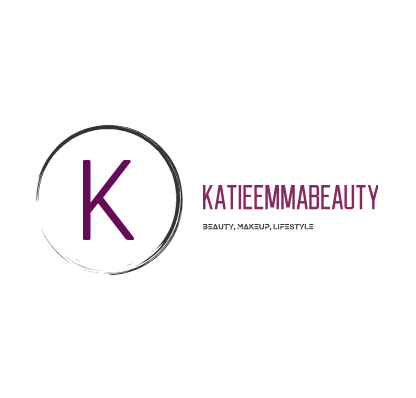 So if you like to follow a blog where you can read about her life, her loves, and her favourite products then you’ll enjoy it too! She has come out of nowhere, this blog been going for about 3 months and she already has 100+ followers?! But if you are looking for a blog about life, tags, rambles and everything in-between this is your blog! If you think her little logo is adorable, you don’t know anything yet. Her photos are all so different and unique and I get so much inspiration from her! Some more beautiful photos, lovely content and another blog to check out! Her posts are so honest and varied. And if you like a blog where they write a lot, you’ll love this. Her pictures are beautiful, but it’s her written content that I love! Her flatlays are all so beautiful, yet so different, I don’t know how she does it. She also comes our with some really nice unique posts like ‘is blogging dying’, definitely one to follow! Her photos are to die for, and her style is so clean, modern and stunning! She also has some amazing tips on how to get your life sorted – which I really appreciate. If you like quick to the point reviews, this is your girl! Her writing style is actually quite funny and I love her review style; pros (in a few words), cons (in a few words), then a comment – simple.